What was really happening on the spiritual front in India and this world during the 19th century, when the Avatar of the Age, our humble and simple Shri Sai Baba had manifested as a human being, can only be speculated. But tying together the lives of well known saints and sages not only in Maharashtra but from other parts of India as well, it presents a very different picture. If one starts reading the lives and stories of well known spiritual leaders, be it a Perfect Master at the zenith of the spiritual hierarchy and one with the unending, or of other spiritual teachers who obscurely performed their assigned roles, one thing that stands out very blatantly is that all these events happened in different parts of India but during the manifested life time of Shri Sainath from his birth anywhere between 1820s and 1830s to his leaving the mortal coil in 1918. Let us start with some well known perfect masters. References to Shri Akkalkot Maharaj who attained Mahasamadhi in 1878 can be found in Shri Sai Satcharita. A study of the life stories of the great master of Akkalkot reflects similar experiences in the life of Shri Sai. Many followers of Akkalkot experienced presence of the Maharaj in presence of Shri Sai in Shirdi. Same thing can be said about other perfect masters Hazrat Babajan(1820-1921), Shri Gajanan Maharaj who attained mahasamadhi in 1910 and Hazrat Baba Tazuddin of Nagpur(1861-1925). Upasani Maharaj(1870-1941) and Meher Baba(1894-1969) who both went to Baba, find reference in literature on Shri Sai at some point or the other. Almost all of the great spiritual leaders mentioned till now lived or were connected with Maharashtra. 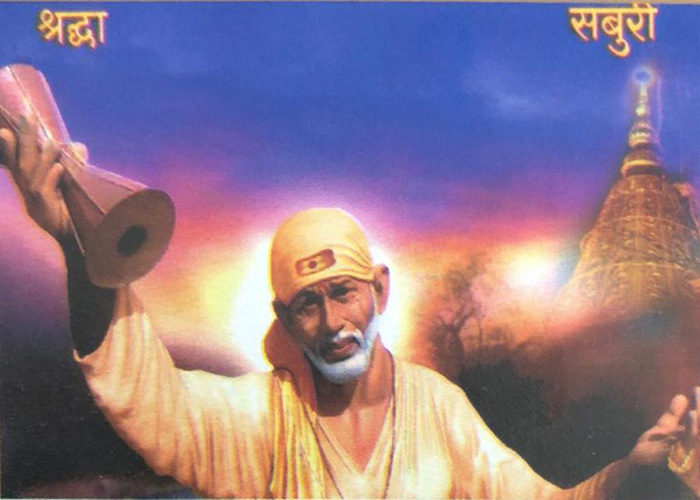 When one tries to widen the search to other parts of India, then one starts seeing a pattern that most of the spiritual influencers lived at some time or the other along with Shri Sai securely anchored in Shirdi. One of the most prominent Spiritual worker of India who carried the message to the world from Calcutta is Swami Vivekananda. Swami Vivekananda’s address to the religions of parliament was in September 1893. Swami Vivekananda(1863-1902) was initiated by his Guru Sri Ramakrishna Paramhansa who incidentally lived from (1836-1886). Upon returning from his Chicago address, he met Shri BalaGangadhar Tilak many times, if one reads in the available literature. The same Tilak who went to seek Baba’s blessings with Kharparde and later sent Geeta to be blessed by Baba! Another great yogi who influenced many lives and did lot of spiritual work in the west was Parmahansa Yogananda(1893-1952). Is it coincidental or what that in the same year when the west gets a taste of Indian sprituality, another great worker is born to continue the legacy by bringing the Indian Yoga system to the West in a very effective way. Yogananda was initiated into spirituality by his Guru Shri Yukteshwar Giri who was a disciple of Shri Lahiri Mahasya. The deathless Mahavtar(Babaji) gave Kriya Yoga initiation to Lahiri Mahasya in 1861. Wonder who the deathless Babaji could be? One finds very similar powers of travelling without a body, materializing somewhere else while seated in the front of others elsewhere, etc. attributed to the great teachers of Yogananda who did their work in silence. Speaking of successful yogis who worked outside India, another great spiritual seeker and philosopher who returned after studying in the west and took upon his spiritual practice in Pondicherry is Sri Aurobindo Ghosh(1871-1950). Going further south of India, another Saint who created a strong spiritual presence and self-realized was the Saint of Arunachal, Sri Ramana Maharishi(1879-1950). Some of Sri Ramana Maharishi’s followers have experienced Shri Sai. One of the well known is Arthur Osborne, who went on to author the book “The Incredible Sai Baba” and another one, Yogi Spencer, who sought Sri Ramana Maharishi’s help for attaining samadhi state during his meditations but to whom eventually Shri Sai helped through his unmanifested form. It is said that in the early life of this great saint, when as a kid he quietly left his family to make Arunachal his home, he was met by a Maulvi on the train who helped him on his journey with some information that made his journey possible. Wonder who that Maulvi could be? Now there are many more great spiritual souls who acted their roles during the manifested period of Shri Sai’s life, some being Swami Rama Tirtha (1873-1906), Papa Ramdas (1884-1963), Swami Omkar (1895-1982), Sri Ananda Mayee Ma (1896-1982), Swami Sivananda (1887-1963) and probably scores of others who lived during that time and can’t be named due to space limitations. We can only look at these Saint’s lives and events from their historical significance and by the value their lives, examples, sayings and preachings help us to make ourselves a better person. But seeing what is going today in Saism, the growth of Sai Philosophy is at an exponential rate both in and outside India. It may be true that there is not a single state of India where Baba’s temple does not exist. Baba has truly lived up to his sayings and anyone can dare and test Baba to experience and find out if he answers their prayers or not. Why is Saism spreading so fast after over 80 years of his Mahasamadhi and not before? Yogananda’s and Vivekananda’s centers to propagate their philosophies were put in place while they were still alive and continued to flourish. Many such centers were started with direct disciples or with the involvement of the family of the Saint. Not with Baba, he did not leave any legacy, no directions, no system, nothing. But still his work goes on as it did from the day he set his foot on this blessed earth. There is no centralized center or such thing that can dictate Baba’s word or work! So, Baba continues his own work even in his unmanifested form true to his promise. Why is it then that amongst the so many saints who lived with Baba, Baba is called the Avatar of the Age? And if he is to be believed as an Avatar then it is naive to believe that he did not know or did not have anything to do with the spiritual activities done by all the great souls mentioned above and many others present during his manifested life. When Baba knew the past, present and future of everyone in his manifested life as explained in Shri Sai Satcharita, how could he not be aware of all these happenings and some how not have a say in the things going on around him, when he is the master? This analysis and continued questions that arise in one’s mind raises doubts that what we know of Shri Sai and his work during his manifested life probably can never be understood or gauged but research into his life will continue to amaze a serious seeker. That in itself satisfies the true test of Vedas in explaining the nature of God when it stops itself without going further saying ‘Neti, Neti’. We may take comfort from that ultimate test that what can’t be totally explained and understood is God and so it is true of our God, Shri Sai.